Police have filed two separate cases against militants who were arrested during raids at suspected militant hideouts in Narsingdi's Shekerchar and Madhabdi areas. 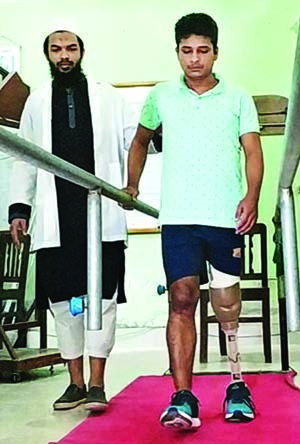 Sub-Inspector Enayet Karim of Shekerchar filed a case on Wednesday while another one was filed by his Madhabdi counterpart Babu Uttam Kumar early on Thursday, said Sub-Inspector (investigation) Fazlu of Madhabdi Police Station. Three named suspects were accused in the cases filed under the Anti-Terrorism Act while five or six unnamed suspects were also accused. Hafez was the sole suspect in the case filed over the raid at Bhagirathpur building, owned by Billal Mia. Hafez associated with the militants to rent the building, said Sub-Inspector Fazlu. Two people were killed at the home during a SWAT operation on Tuesday, he said. "Two women, Khadiza Akter Meghna and Israt Jahan Mou, who turned themselves in to the security forces at the Nilufa Villa building in Narsingdi's Madhabdi, were accused in another case. Five or six unnamed suspects were also accused in the case." On Monday night law enforcement agents cordoned off the building two buildings in Narsingdi. SWAT raided the Bhagirathpur building on Tuesday. Police have recovered the bodies of Abdullah Al Bangali and his wife Aklima Rahman Moni after the operation. 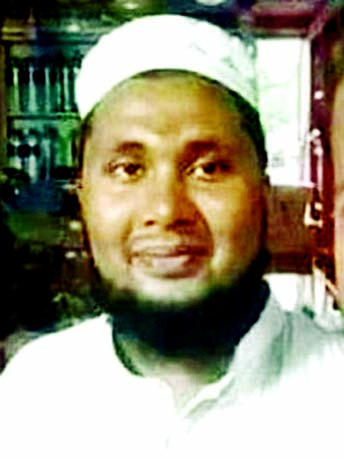 Abdullah was a Neo-JMB leader, the revived faction of Jama'atul Mujahideen Bangladesh, according to Police Counter Terrorism and Transnational Crimes Unit Chief Monirul Islam.